Running is great exercise. It reduces blood pressure, heightens lung capacity, tones and builds muscles, helps you lose weight, and releases mood-boosting endorphins so you feel great. There are few things more exhilarating than running out in the fresh air. Picture that perfect day: it’s not too hot, conditions are dry and there’s a gentle breeze caressing your face. Cooling you just enough to allow the perspiration, that proudly shows off how much effort you are putting in, to bead across your brow. However, running outside has its limits. Depending on where you live, it can be difficult to vary your terrain. Also having to stop at road junctions interrupts your flow and it can be immensely frustrating waiting, sometimes up to 5 minutes, for cars to allow you to cross safely! Pedestrians can also be a bother, perhaps obstructing your way (unintentionally we hope!) and slowing you down. 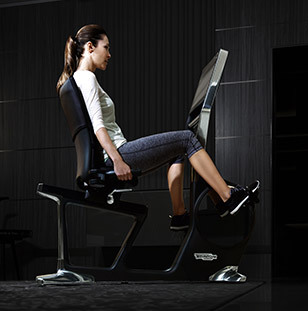 An ideal solution to all this is to train on a treadmill. 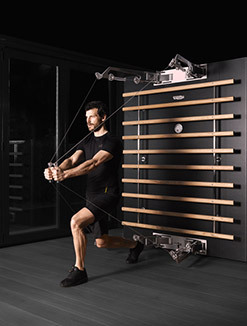 Not only does a treadmill take away all these variables, it is also ideal for taking your running routine out of a rut (if you’ve got into one) and stepping up the intensity. If you run regularly and take the same route each time, your body will eventually get used to the level of activity. 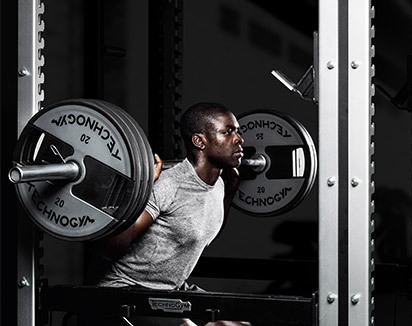 Unless you increase the intensity of your activity, your fitness level will plateau and you will stop noticing any improvements or weight loss (if weight loss was one of your goals). 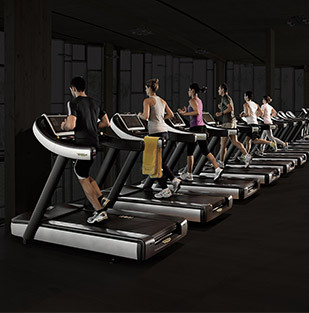 With a treadmill it is as easy as pressing a button to change your routine, and the intensity of your workout. When you run outside, you can unconsciously slow your speed and intensity because you are distracted by your surroundings or are starting to feel tired. 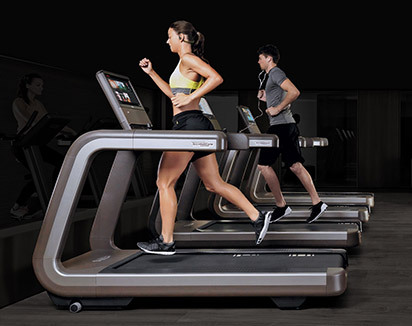 Conversely, a treadmill’s preprogrammed exercise session keeps you working at the level you have set by keeping the belt moving at the desired speed. 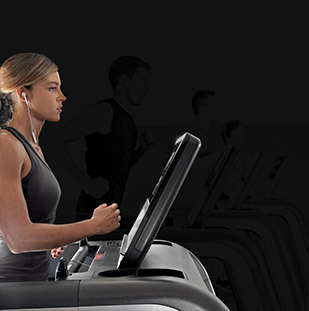 Using a treadmill to change your routine and the intensity of your workout can help you reach new highs in your personal fitness. Hill and interval training programs are particularly useful for burning more calories. 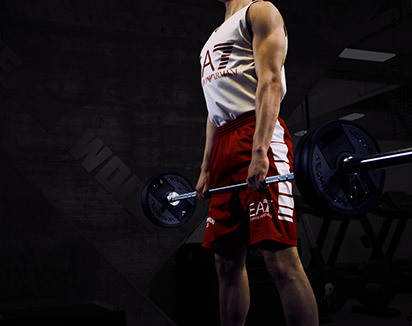 What’s more, high intensity interval training aerobic routines on the treadmill will get the maximum results in less time. It is also incredibly convenient if you sometimes struggle to find the time to exercise or perhaps live in a highly urbanised area or busy town or city. 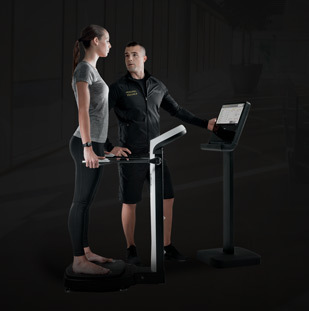 Furthermore, the innovative MYRUN Technogym treadmill is the ideal running equipment as it has the widest usable running surface, due to its overall footprint, that adapts to each user’s running styles. 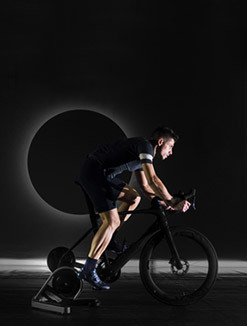 High intensity interval training requires exercising at a higher intensity for one to three minutes, followed by a recovery period that is approximately 2 to 3 times longer. Either running faster or raising the incline level and getting the heart beating faster whilst moving at a slower pace can achieve this. 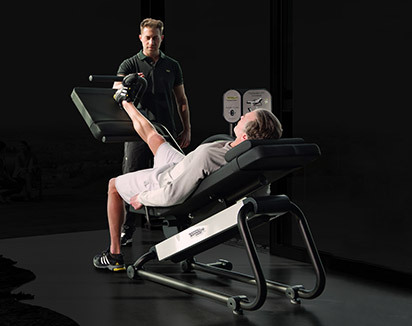 With today’s computer controlled machines you have the option to either use preset hill or interval programs on the treadmill, create your own, or you can manually control the workout to a level you feel comfortable with. 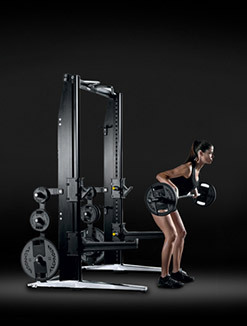 Build up your speed gradually. Running faster burns more calories so gradually increase your speed by adding a little more pace every three to five minutes until you are running between 8 to 16 kph. Vary your speed and interval training days by incorporating longer runs where you maintain a constant pace. 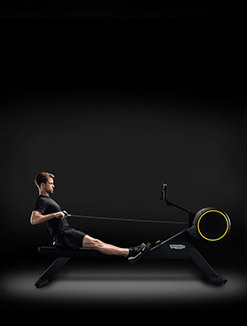 An hour long run at 10 minutes at 1.6 kph will burn approximately 540 calories. If you would like to run faster you can also use a treadmill to train you to do this. 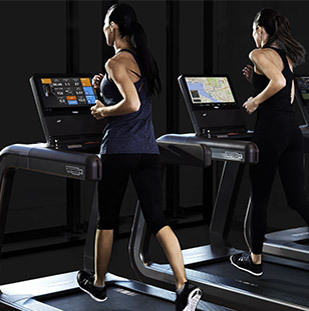 Once you have warmed up, increase the speed of the treadmill until you are running slightly faster than is usual for you – come on now…push it and get out of your comfort zone! 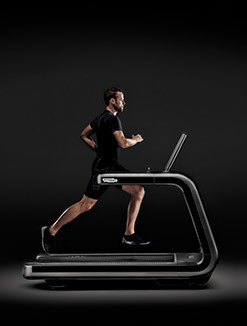 The treadmill will force you to keep pace. 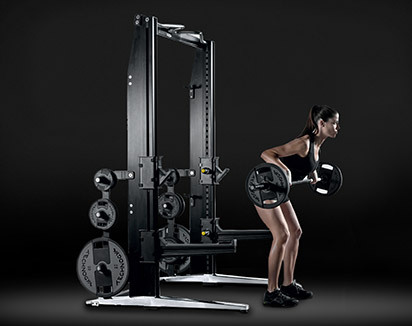 The principle of fitness improvement is overload. Hence, forcing your body to run above a comfortable speed will encourage it to make the adaptations that allow you to run faster in future. But don’t go crazy – push yourself a little and be sensible. 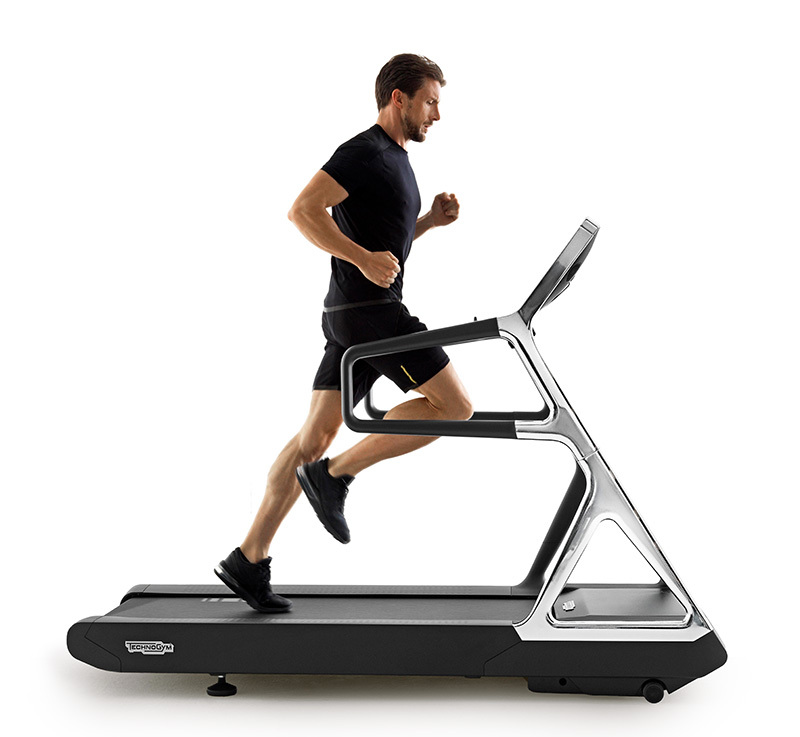 Another technique you can use on a treadmill to increase your speed is negative splits. This is when you initially conserve your energy then run the second half of your run at a faster pace than the first half. 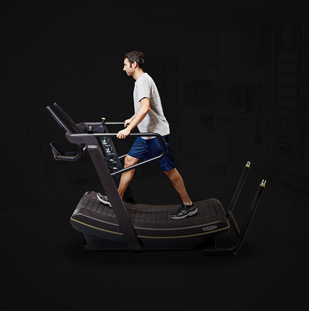 Most people think of a treadmill as building just aerobic capacity, but you can also use it to strengthen your muscles. Do this by pumping your arms rather than holding on to the handlebars. This will tone your arm muscles and also tone your core. Steep Hill workouts and incorporating walking lunges will tone your calves, thighs and buttocks. 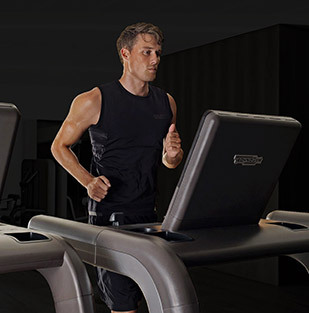 Treadmill running can provide both a welcome relief from being at the mercy of the elements or busy roads, as well as an opportunity to crank up your training. So why not step inside and introduce some variety to your running regime.